In Henry David Thoreau (1817 - 1862) we have a philosophy of rugged self-reliance, pure individualism, in which one’s best self flourishes, free of political and religious allegiance. True community then, is found in the communing of real individuals – in shared recognition of the divine within each of us. 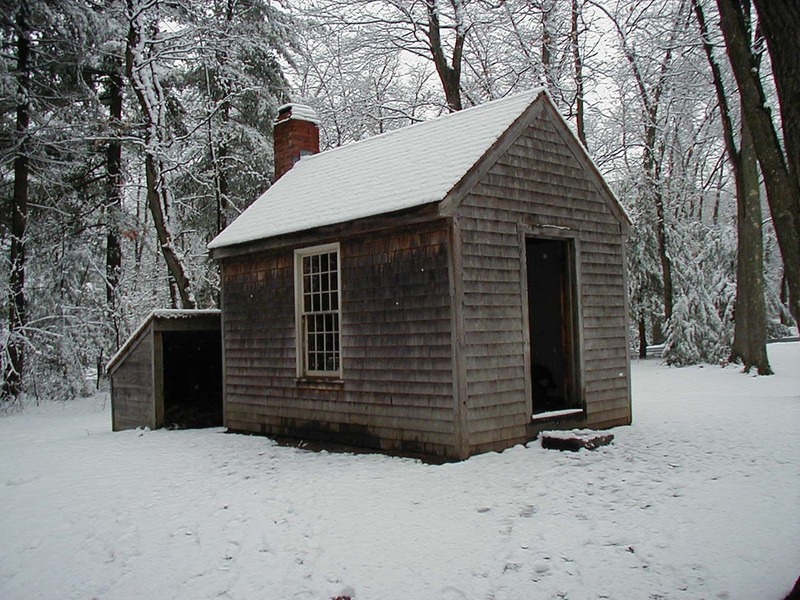 In a desire to actualize this philosophy, Thoreau took to the woods for two years (1845 – 1847), living on the shores of Walden Pond, Massachusetts, on a piece of land owned by Ralf Waldo Emerson. This romantic idea of throwing off the shackles of contemporary life is undeniably appealing. In the history of religion there are countless examples of individuals taking to the wilderness, such as the desert fathers, in search of solitude. In Thoreau’s masterwork ‘Walden’, Thoreau recounts his time in the woods, and expounds upon the conceptual underpinning of this venture. The real gem within the work though is the chapter on solitude itself. I both find this idea agreeable, for it certainly aligns with my disposition, and yet partly concerning, for it seems to me to indulge a narcissistic impulse. There seems to me to be a fine line between the self-edifying eremitic life, and simply disengaging from society for self-centred reasons. And yet I am unsure. Perhaps it is only perceived as self-centred by those not brave enough to disengage from society – those invested in society must justify their choice. Or, perhaps the value of extended periods of solitude is to be found in the insights such individuals bring back to society, such as Thoreau’s work itself. Solitude can be a deadly counsellor, or friend of infinite worth. Perhaps any lack of true solitude within our current society should be taken as a societal ill – we are tentatively never alone - our ups and downs can be learnt of vicariously all the time. And yet perhaps the lack of true solitude impairs true connection – in our destitution we cannot really be known. So I return to Thoreau and the Transcendentalists’ notion of the ‘communing of real individuals’. Perhaps the lure of tribalism blinds us from the true value of solitude, which in turn robs us of truly communing at all.